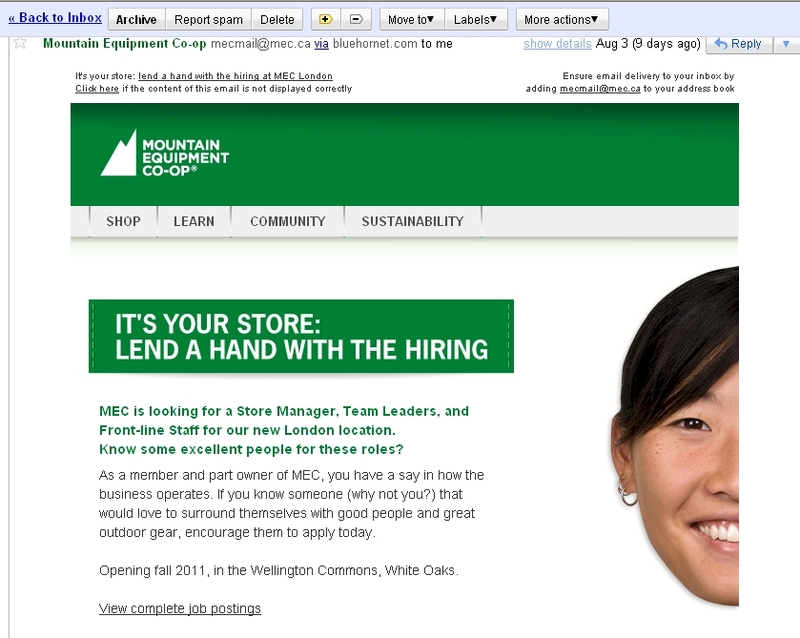 MEC is looking for a Store Manager, Team Leaders, and Front-line Staff for our new London location. Know some excellent people for these roles? New Bike? Wah? Needless to say, this image interested me beyond easing my mind about where the missing half of the woman from my email's face had gone. It turns out that MEC offers its Full and Part-Time employees (sorry, no joy casual workers) "Interest-free computer, bike, or boat loans". My mental image of new employees being issued new bikes was dashed. Still pretty cool though, if you ask me. Well, that's it. Hopefully I can now move on to addressing something else, like my self-diagnosed Porphyrophobia. I know I have this fear, because one time about fifteen years ago Mrs. Rantwick was awakened by me banging around in our bedroom closet, sleep walking. She turned on the light and apparently there I was in the closet with a wire hanger in my hand. When discovered thus, I said "this will help in the battle against Oprah." Pretty weird, I know. True story though, and it obviously means I once suffered from porphyrophobia and probably still do, right? Right. PS - Don't go down to that planned MEC location and expect to find anything. I've been by and there's no sign of activity at all yet. Awesome! I'm a KW MEC member with a sister in-law in Byron. This is right on the way, love that's right off the 401. 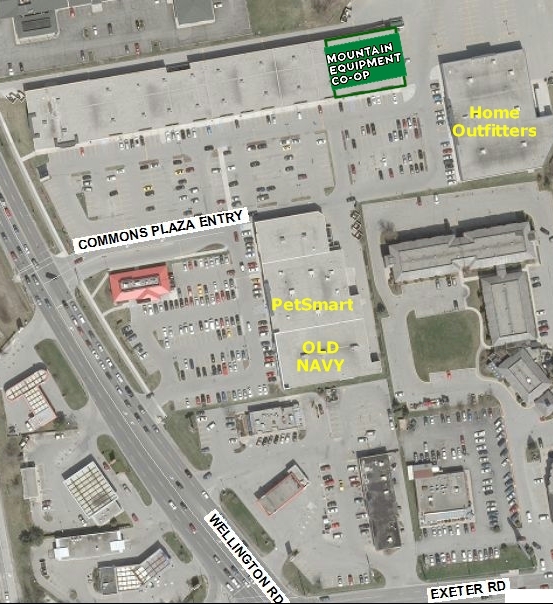 Already the size of store and available parking will be less than whats needed. What was MEC thinking??!! Anyhow, love that sleepwalking story! With that ad, just make sure they put in a good bike rack. PA - Smaller city, smaller needs? Glad you liked my oddness. Steve - I should hope so! Please know that I just like the store... MEC doesn't know I'm "promoting" them or paying me or anything sneaky like that.